E-mail Monica Anney, Youth Council Coordinator at MAnney@ywcaofolympia.org for information about upcoming groups. 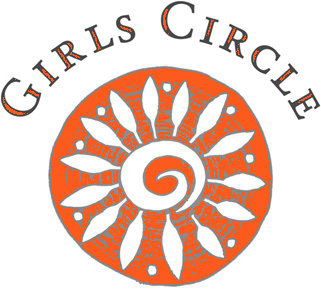 Our Youth Circle program uses the Girls Circle Model, an evidence based program designed to improve the health and well-being of adolescents. Why YWCA Olympia? YWCA Olympia is uniquely qualified to deliver gender-responsive services to women and girls. We’ve delivered Youth Council (Previously called Girls Circle) to 1,000+ young people in our community and we are part of the largest multi-cultural social justice organization in the nation. We are the original authority on serving and supporting women and girls. Read YWCA CEO Hillary Soens’ Op-Ed in the 04/21/15 issue of The Olympian about Girls Circle. Why join? Youth Circle helps increase confidence and resilience in young people and allows you to discover and use YOUR authentic voice. Hear from a Youth Circle Member. How do we register or get involved? Contact Monica Anney at MAnney@ywcaofolympia.org or 360-352-0593 to learn more. Does Youth Circle have a leader? Youth Circles are facilitated by caring individuals who are passionate about empowering young women and girls. Facilitators have current background checks, have been certified by the One Circle Foundation (the Girls Circle creators), and have extensive experience working with youth. Who collaborates to provide Youth Circle? Youth Circle is a partnership between YWCA Olympia and local Thurston County School districts. Who funds the program? Youth Circle is supported by a generous grant from the Junior League of Olympia and individual donors like YOU. How can I invest in Youth Circle? Your tax-deductible donation will provide a safe space to develop healthy and resilient youth that thrive!